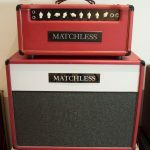 This is an ultra rare, very cool Matchless rig! 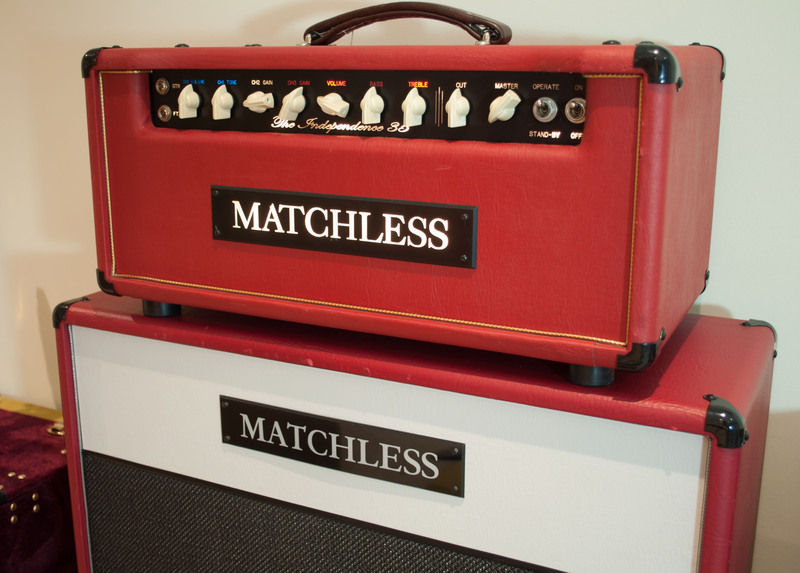 This brand is the daddy of the boutique guitar amp market. 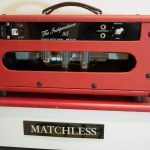 This small American company always build their amps with the absolute highest specs! 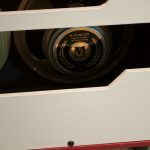 These are real point-to-point amplifiers, they use the best sounding, military grades components. This is a 3 channel EL34 based head. It’s self biased so the valves work perfectly all the time! 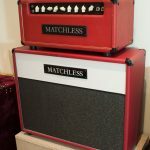 Basically the clean channel has the typical Matchless style boutique clean sound with a lot of chime (a bit of VOX AC30 character), the crunch channel is very transparent I love that a lot! Many channel switchers amps have a crunch or lead channel that is very far from the clean one in terms of EQ and character etc…I don’t like that…this one is perfect! The crunch is the cranck’ed clean basically it sounds really amazing! Then the lead channel is just a tiny bit more of the crunch 🙂 fantastic! The EQ, the Cut control and the Master volume are very sensitive! Great design! The Master can be taken out from the circuit with one click which is a great feature! The amp, the cab and the foot switch just work as clock work, no issues at all. 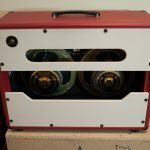 This is seriously a built-like-a-tank amp! It can survive anything but it’s not been used a lot, so nothing to worry about at all. Valves are in great condition too. No funny noises at all. 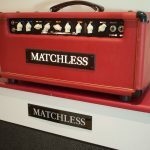 The whole package is just a very nice, looked after example of a very rare and seriously COLLECTIBLE amp! 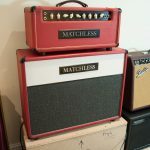 There are some low wattage (15w usually) Matchless amps on the second hand market with the price around £2000K…new ones are way above £3K…but this is a 35W amp with a matching – Matchless 2×12 cab, so it’s useable in every situation, it has a tons of headroom and it looks phenomenal!! !